Heading back home from giving a talk at the INEX meeting in Dublin on Friday 20th September, I came across a fairly ridiculous piece of security theatre. 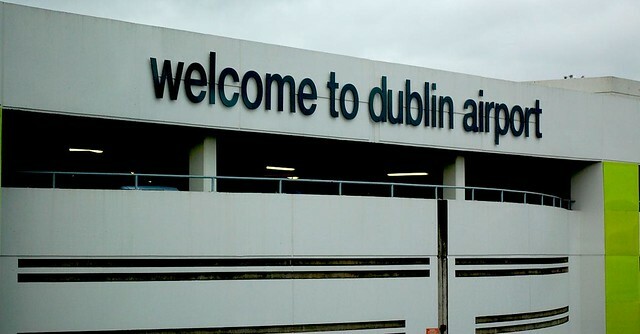 Welcome to Dublin Airport. Now remove your dignity, please. My frequent flyer status with BA entitled me to go through the Fast-track security lane and avoid the 15-20 minute queue of glum-looking Ryanair passengers. There was a chap in front of me who had just checked in for the same BA flight. Without seemingly flinching, the security officer supervising the loading of belongings into the x-ray machine asked the man in front to remove his spectacles and put them through the machine! I was stunned to hear this, and I think, so was he. In over 15 years of regular flying, this is the first time I’ve ever heard this be asked of someone wearing spectacles (i.e. not sunglasses worn inside). Good for him, he politely declined this seemingly random request, explaining that if he did that, he would be unable to see. Being as blind as a bat without my glasses, I was ready to similarly decline if this security lady had any ideas about asking me to give up my glasses. Fortunately, I think she’d realised her seemingly random and possibly frivolous request had overstepped the mark, she didn’t ask me to do the same. Now, I personally would find such a request undignified. Unable to see where I’m going clearly, I would be placed at increased risk of having an accident. It’s likely I would need to be helped through security, and helped to find my glasses once through the X-ray machine. I don’t really see how it’s different to making a person with a prosthetic leg remove it for inspection and hop through the magnetometer arch on one leg, and I don’t see airport security guards forcing people to do that. I put it down to poor staff training and the general ridiculousness that this security theatre is “good for us”, but I’m still pretty shocked that such a loss of dignity could even be contemplated in the first place. I will be contacting DAA and asking them to respond and explain what their policy is regarding screening of people wearing glasses.